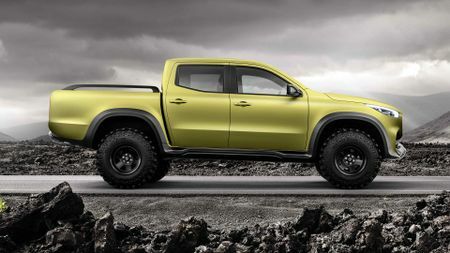 With some help from its partner Nissan, Mercedes will become the first premium manufacturer to sell a pick-up when its new X-Class goes on sale in about a year’s time. Mercedes has unveiled two new concept cars that give us the best idea yet of what the company’s forthcoming pick-up will look like. Between them, they show the range of abilities we can expect from the finished article. The ‘Powerful Adventurer’ (the white vehicle in our pictures) is very much in the mould of a traditional pick-up and is designed for urban use, while the ‘Stylish Explorer’ (finished in what Mercedes calls ‘lemonax’) is a more extreme version. According to the company, it gives an example of what will distinguish the X-class – the first pick-up from a premium manufacturer – from rivals such as the Mitsubishi L200, Toyota Hilux and VW Amarok. The X-Class is based on the current Nissan Navara, and the final production version (which will be built at a Nissan factory) is expected to go on sale in about a year’s time, late in 2017. Full details about the vehicle’s specifications are still pretty thin on the ground, but Mercedes has confirmed it will be available with permanent four-wheel drive and a six-cylinder diesel engine. In terms of its design, the X-Class clearly takes some of its inspiration from Mercedes' current range of SUVS, such as the GLC and GLE. That includes the traditional Mercedes grille, a bulging bonnet and headlights that stretch back into the wings, as well as flared wheel-arches. Inside, too, the X-Class is very much a Mercedes through and through, with classy materials, including leather upholstery and wood trim on the Stylish Explorer version. At the same time, Mercedes says the production version will be available with the company’s latest infotainment systems, which can be operated using the touchscreen or gesture control, and the ultimate in connectivity. 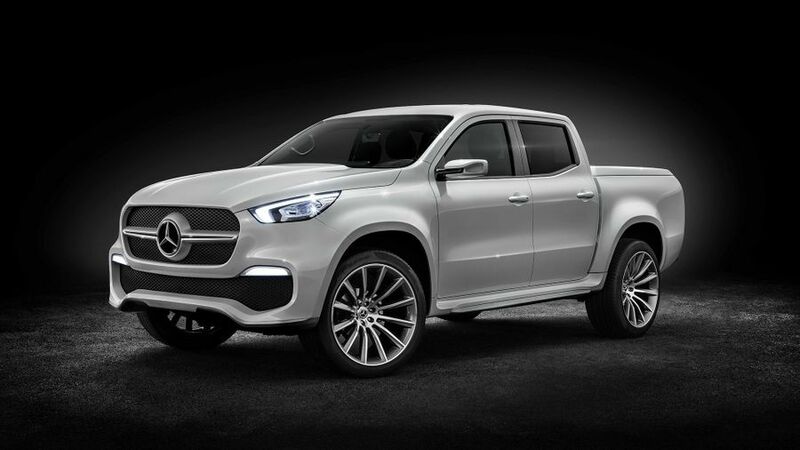 For now, there are only limited details about the X-Class’ technical specification, but Mercedes says the top-of-the-range model will have a six-cylinder diesel engine and four-wheel drive. This will give it a load capacity of 1.1 tonnes and a towing capacity of 3.5 tonnes, while the combination of electronic traction control and two locking differentials will give it excellent off-road ability. However, Mercedes says this will not be at the expense of on-road ability, claiming the X-Class will provide ‘precise steering, a comfortable ride, and agile cornering'. 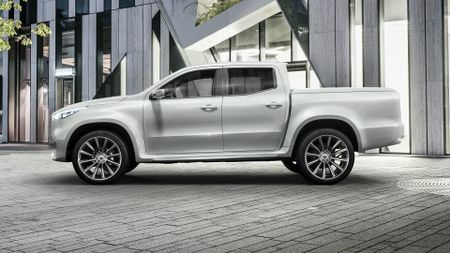 The pick-up will also have the most up-to-date safety features – with many fitted as standard, Mercedes says – and the X-Class is expected to appeal to pick-up owners who want something more car-like, as well as to SUV owners, and families. It’s also expected to attract both private buyers and people who need a pick-up for work. 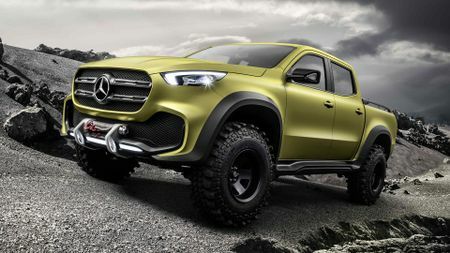 As we are so far away from the X-Class going on sale, there are no details of how much it will cost or what equipment it will come with. All Mercedes will say is that the X-Class will have an attractive price and should go on sale in late 2017.